Tooth loss is a common scary movie trope — and when it happens to you, it can be terrifying indeed. If one thing is for sure after you’ve lost a tooth, it’s that you have to find an effective replacement. And the sooner, the better. 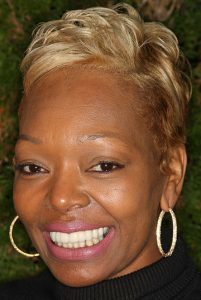 Are you considering your options between dental implants or crowns and bridges? They are both effective solutions, but only one is a truly comprehensive tooth replacement. 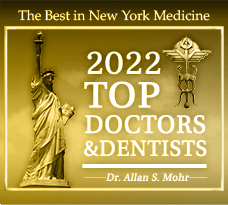 Dr. Mohr, your implant dentist in Long Island, explains more below. These days, more people than ever are choosing dental implants to replace their missing teeth. Why? Because nothing else gives you back your missing tooth as well as its root like implant dentistry. 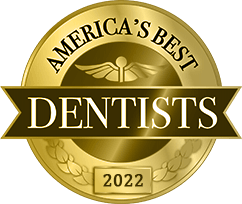 Aside from providing unsurpassed stability for the prosthetic tooth that sits on top, dental implants are also good news for your oral health. With the stimulation provided by a prosthetic root, the jawbone stays active and healthy for years to come. That means there’s a reduced risk of future tooth loss. And when cared for properly, dental implants can be expected to last the wearer’s lifetime. Dental implants are completed in two phases: initial implantation and final restoration. A recovery period of four to eight months is required between the two procedures. Implantation: Each tiny titanium post is surgically placed beneath the gum line, where it gradually fuses with the jawbone during the recovery period that follows. Dental implantation is performed under local or general anesthesia. Restoration: After dental implant has grown together with the jaw, its top is exposed, a connecting abutment is attached, and the prosthetic tooth is placed securely on top. 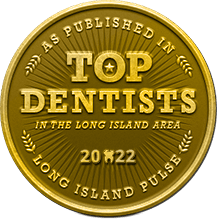 For patients who cannot undergo the procedure for dental implants, or for people who desire a faster or more affordable option in tooth replacement, the crown and bridge is an effective alternative. A dental bridge is made out of sturdy dental crowns. It fills the gap left after tooth loss by using the two surrounding natural teeth as anchors. With a crown placed securely on each one, the prosthetic teeth fill the space in between. It’s a literal bridge that restores your ability to eat, speak, and smile with total confidence. Dental implants may take up to one year to complete, but crowns and bridges just two to three visits to the dentist. Dental implants replace your tooth’s root for unsurpassed stability in tooth replacement. The crown and bridge requires the modification of healthy tooth enamel, while dental implants leave healthy teeth unaffected. Crowns and bridges are a more affordable option in tooth replacement. Patients should be in good oral and overall health to undergo the procedure for dental implants. The truth is simple: both dental implants and crowns and bridges provide a sturdy, stable tooth replacement. The one that is best for you depends on your lifestyle, your budget, and your personal desires. 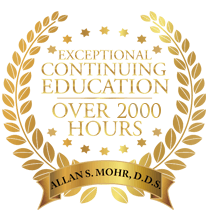 Request an appointment with Dr. Mohr to discuss more about your tooth replacement today!